Gregg Bender | The Journal Gazette Residents in West Central and elsewhere have shown their commitment to Electric Works. What brought us to this point? For years we've heard people say things in Fort Wayne were “good enough.” Then the mindset changed. The vision of Mayor Graham Richard and the six of us on City Council who voted for it, led by Councilmen Tim Didier, Tim Pape and Sam Talarico, resulted in the downtown ballpark and Harrison Square. This was world-class, award-winning development. That led to the Ash Building – world-class. New downtown restaurants began to pop up – world-class. The Riverfront development is happening, and the first phase – Promenade Park – will be world-class. The underlying strategy of this was not just to be “good enough” or have a pretty downtown, but to markedly improve our quality of place to make our city more attractive and enjoyable to existing residents and to young professionals and companies with jobs of the future. A city's amenities and quality of life have become the key factors that lead to cities' success in attracting and retaining new, high-paying jobs. The older tools of economic development such as tax abatements and low-cost living are still important but are not the prime factors anymore. This is paying off. When we recruit young professionals here, they now ask about trails, downtown living, restaurants and nightlife because these things are important to them. They are looking for a quality place to live and thrive, not just a place to work. And all these investments can be used by current residents and their families, giving everyone a sense of pride in our city. Young creative Kelly Lynch is one of these people. Lynch has said the reason he came back to Fort Wayne is the excitement he felt when he heard about Parkview Field. He brought his dreams with him and is now leading the effort to foster economic development by revitalizing portions of our history while incorporating new potential developments. These new residents spawn new dreams, propelling our city ever upward. The next big step forward may be a phoenix rising from the vacant, deteriorating 39-acre former GE site – now known as Electric Works. A great deal of work by Greater Fort Wayne Inc. and CEO Eric Doden led to GE's selling the site to developers who have now proposed this bold new project. The project has been featured nationally in the Wall Street Journal, bringing positive attention to our city. Redevelopment of this site requires a public-private partnership because of the magnitude. The plan is very complex, but it will bring $50 million in Indiana state tax credits,$50 million in federal Historic Tax Credits and roughly $65 million in private loans into Fort Wayne's economy to rehabilitate and build Phase I. This will add construction and other jobs to Fort Wayne. The last piece of the deal is $65 million in local public funds to make it feasible. After several years, the local funds will be returned to taxpayers in the form of increased property taxes and income taxes from new, permanent jobs on the campus. City Council must now vote on contributing $10 million from the Legacy Fund and $3.5 million in CEDIT funds for the project to proceed. Six affirmative votes for the Legacy portion are required. Recent polls have shown that 86 percent of citizens are in favor of Electric Works, including 67 percent approving of the public financing aspect. The positive, national interest Fort Wayne is attracting with this project will continue to draw more investment as Electric Works becomes a reality. To let it get this far and then fail will send a negative message. 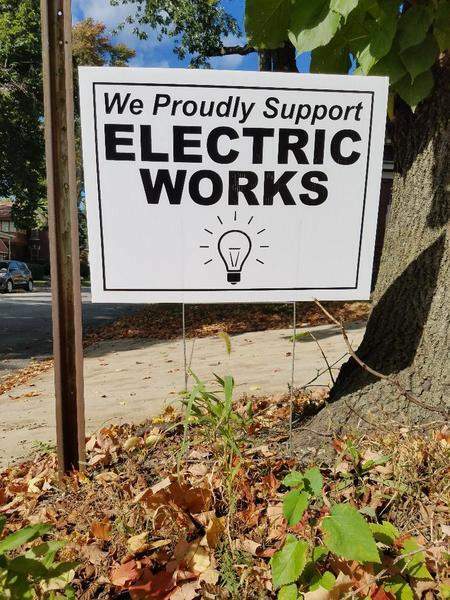 I support Electric Works because I see the potential in this project. The possible economic growth is enormous. To me, the vote for the baseball stadium was much harder. It was a new strategy, a gamble it would succeed, and 65 percent of citizens were not in favor of it. But it worked. Downtown has come back to life. We are at a tipping point – more and more private investment is flowing into our city. This is our opportunity to show who we are and not settle for “good enough.” Electric Works is the next big decision on this path. I believe we need to dream bigger than ever before and use this opportunity to take Fort Wayne to the next level. All of us on City Council will vote what we believe is best for our city. I truly hope six of us will join the majority of citizens and business leaders who want Electric Works to become a reality. I believe in our city and I believe we deserve greatness. 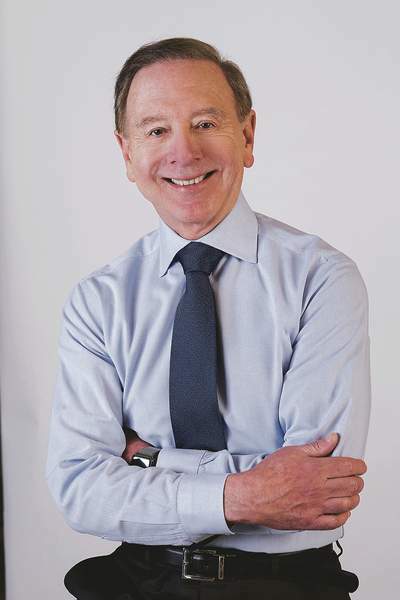 John Crawford, a Fort Wayne physician, is an at-large member of City Council and a candidate for the Republican nomination for mayor in 2019.